First and foremost, I would like to thank all those who were able to come out for our Abbott and Costello event this past Sunday! It was a huge success and we appreciate all those who were involved. Also, a warm thank you to Bill Riley and Joe Ziegler (Abbott and Costello), you guys were fantastic and we enjoyed having you both! Now on to today’s topic! I would like to explore the role college students had during World War II. 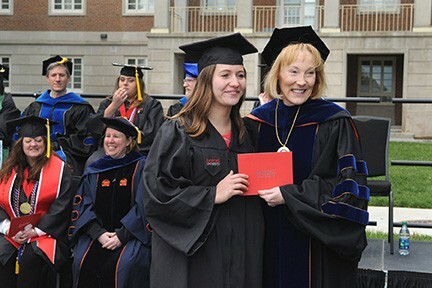 As a recent graduate of Radford University, I have often wondered what it must have been like for the women who attended school during wartime. What changes did they see? How many stayed behind? How many dropped out to help the war effort? What changes were made to their everyday life and curriculum? Since I, and a few of my colleagues at the Memorial, attended Radford University, I will use this particular school as an example. Some may not be aware, but Radford, known then as State Teachers College, was actually an all women’s institution that primarily focused on Education. Despite the lack of male counterparts, the campus still saw a huge disruption at the onset of the war. Many faculty and staff members felt compelled to serve their country, as did the female students who were looking to support their country by joining the armed forces or working in factories for war manufacturing. In 1942, the War Defense Council was organized and the academic programs were changed to suit the needs of the war. Most classes were adapted to focus on the conflict, such as Pre-Flight Aeronautics, War Craft Math, and Geography for War. 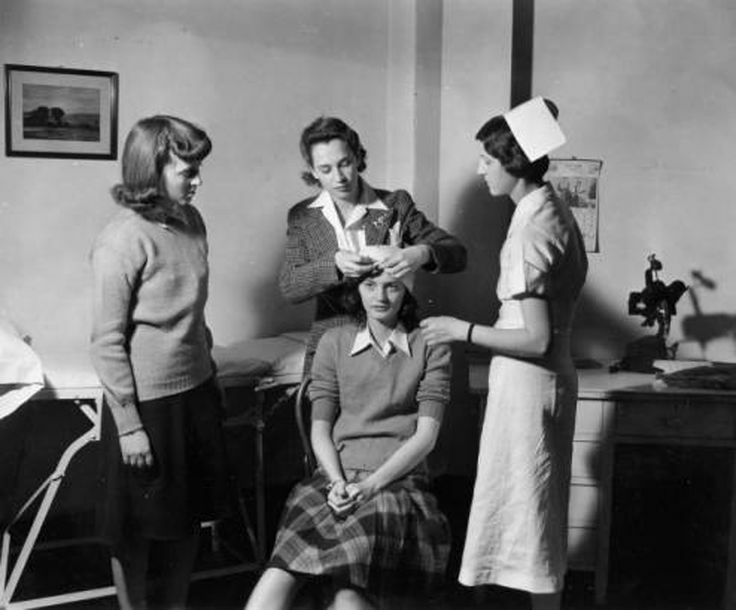 First Aid training, Radford College, WWII. Despite the decline in enrollment, Radford persisted and even proposed a union with nearby Virginia Tech. This proposal was an effort to bring together higher educational institutes in order to give students the best quality education they could acquire without costing the state an exorbitant amount of money. This merger changed both foundations’ names to what we recognize them as today, State Teachers College became Radford College and the Virginia Agricultural and Mechanical College and Polytechnic Institute became Virginia Polytechnic Institute. Radford, of course, had the Women’s Division of V.P.I. and those women were given the same opportunities as their male equivalents. Joining together gave both schools a chance to thin out similar courses in order to save money, while simultaneously preserving their unique identities. Student of State Teachers College (Radford College) 1940s. Even though Radford went through many major changes within a short amount of time, post war enrollment did not skip a beat. Enrollment rates in the later part of the 1940s grew immensely. 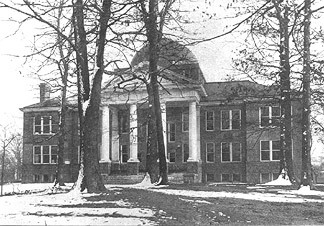 The school was able to afford necessary renovations and construction plans and by 1948, Radford’s campus stretched beyond its original brick borders. Interestingly enough, other schools saw an increase in female enrollment during wartime because families could now afford to send their daughter’s to school since their son’s were fighting and the ever-important realization that self-efficient and trained women could actually be a huge benefit to the chaotic and uncertain world they lived in. In addition to the changes in academics, the college students of the 40s were not removed from the everyday effects of wartime rations and services. Many institutes encouraged their students to stay healthy and fit to be prepared for service. To combat the labor shortages in higher education, particularly in labor intensive positions, institutions would have their students provide at least one hour of service each day in order to help sustain a functioning school. Cafeteria style dining became the norm during wartime because of the lack of wait-staff. Today, it would be inconceivable not to have a cafeteria! Frances Hilt’s Ration book during World War II. Weekend activities were also affected by the war. Many students felt discouraged to leave for the weekends because of war activities or rationing problems they faced. This helped colleges facilitate a recreational and social atmosphere on campus, which in turn, created unity amongst the students and a readiness to participate in school activates, like student government. What we perceive as normal breaks from school was actually developed as a result of the war. Winter vacation was extended to four weeks in order to give students a much needed break from the demanding work load of school, since they were unable to leave other times of the year. ‘Spring Break’ was actually spent at school, but the students were given time off from classes. During those times, many of the students would help take care of the grounds and general maintenance. The wartime period of the 1940s was a difficult time for most. But through hard work, dedication, and patriotism, the citizens of the time were able to pull through and succeed, paving the way for the future generations.